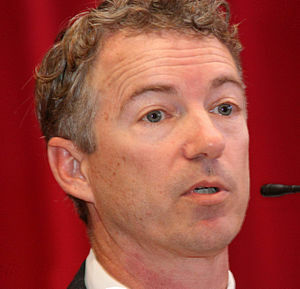 Senator Rand Paul recently endorsed Mitt Romney for the Republican nomination for President. Rand’s endorsement was unseemly in that it was made in a way that seemed to end Ron Paul’s candidacy, rather than merely reflect Ron’s decision to quit the race. By endorsing Romney, Rand may have proved his utility to the “big boys”–but I suspect it will also have have cost him at least 20% of his support among the common people who believed in Ron Paul and assumed that Rand Paul was cut from the same cloth. It may be that Rand simply made a politically stupid mistake by endorsing Romney so quickly after his father’s candidacy apparently ended. But, in the following video, Rand makes things even worse by failing to answer questions about his endorsement for Romney. It’s been a week or more since Rand endorsed Romney–how could he not yet have a credible explanation for his seeming betrayal of his father? Ron Paul’s candidacy for the Republican nomination for President appears to be over. Some may hope that Paul’s campaign will be resurrected, but given Rand Paul’s endorsement of of Mr. Romney, it appears that that Mitt Romney will be the Republican nominee. Nevertheless, here’s a video describing litigation that’s been proposed by lawyers supporting Ron Paul. The video implies that Ron Paul was not defeated by Mitt Romney so much as by inner workings of the “establishment” within the Republican Party. I assume the lawsuit was devised a month ago (or more) while Ron Paul’s candidacy was still a live issue. However, after Romney’s apparent victory, it’s unclear whether a lawsuit on Paul’s behalf will go forward. Still, if there’s any hope that Paul’s candidacy can be revived, this lawsuit may be Paul’s last chance. And it’s got to go forward quickly–before this year’s Republican convention on August 27th to 30th. Rule 38 means that no individual delegate can be bound to vote as a state or district “unit”. In other words, the delegates of any state/district to the Republican National Convention are entitled to vote for and determine the Republican nominee for President–but these delegates can’t be bound to vote as a group for a single candidate, but may instead each vote for whoever they individually prefer. 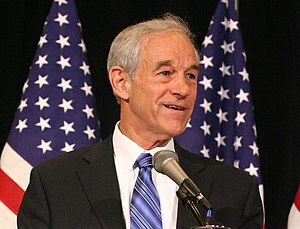 This means that even if the majority of a state political convention has voted to support, say, Mitt Romney, the individual delegates that are subsequently selected from that state are nevertheless free to vote for whoever they please–say, Ron Paul. I will bet that Rule 38 is the previously-unappreciated key to the Ron Paul strategy. Paul saw the rule and realized that while he might not be able to control the primary votes of thousands or even millions of voters in a particular state/district presidential primary election, he could control the few dozen delegates who were actually selected to represent the state/district. 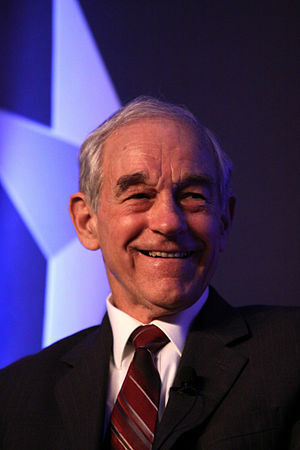 Ron Paul may have lost the primary election battles–but still have won the war. Apparently, the Republican presidential Primary is far from over. In fact, it may have just begun and is about to get very interesting. One inspirational video. Three more that reflect Ron Paul delegate victories. And one video that explains the Ron Paul delegate strategy–absolutely worth viewing. Three videos. Each illustrates that this nation will suffer a significant loss if it fails to elect Ron Paul this year. He is a Goldwater-like character who is really trying to do what’s best for the nation rather than some special interest groups. He is no involved in treason. He routinely attracts crowds that the other Republican candidates can’t duplicate or even imagine. And yet, it seems likely that Americans will elect another jerk comparable to Lyndon Johnson (who defeated Goldwater in A.D. 1964). But even if Dr.Paul is not elected this year, he will have an enormous impact on American politics. Wikipedia describes Goldwater as “the politician most often credited for sparking the resurgence of the American conservative political movement in the 1960s,” Dr. Paul will also be credited with sparking the resurgence of the American constitutional movement of the 2020s. The truth is that while all of us are called to fight, not all of us are called to win. No matter. Those who fight today lay the foundation for those who win tomorrow.